Although he gave up operating the Count puppet in 2004, he continued to provide the voice for the character until his death. 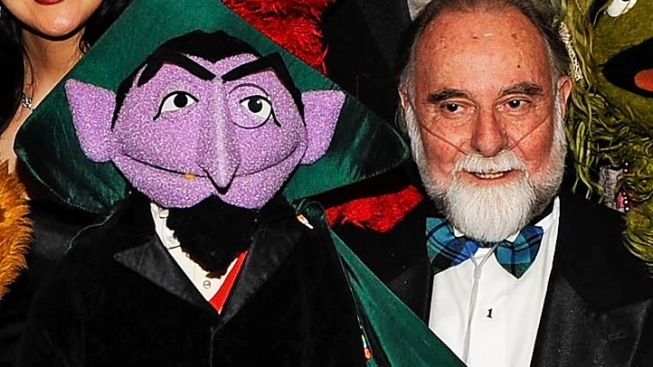 Jerry Nelson, the puppeteer who played Count von Count on "Sesame Street" for almost 40 years, passed away on Thursday. He was 78. Nelson began his work in puppetry with Bill Baird, the man responsible for the iconic marionette scene in the 1965 film version of "The Sound of Music." His full-time work on Sesame Street began in 1970. For nearly 40 years, he was a part of virtually every show and Henson-related program. "Jerry Nelson imbued all his characters with the same gentle, sweet whimsy and kindness that were a part of his own personality," Lisa Henson, CEO The Jim Henson Company, said on Facebook on Friday. "He joined The Jim Henson Company in the earliest years, and his unique contributions to the worlds of Fraggles, Muppets, Sesame Street and so many others are, and will continue to be, unforgettable. On behalf of the Henson family and everyone at The Jim Henson Company, our deepest sympathies go out to Jerry's family and to his many fans." In addition to his work on "Sesame Street" as the Count, Nelson also manned the puppets for Mr. Snuffleupagus and Grover’s customer Mr. Johnson. He also appeared on other Henson shows, performing the duties for Gobo Fraggle on 'Fraggle Rock" and the High Priest in "The Dark Crystal." Although Nelson gave up operating the Count puppet in 2004, he continued to provide the voice for the character until his death. According to a CBC radio report, Nelson died of unknown causes. Away from puppetry, Nelson acted in such films as "Robocop 2" and the 1985 cult horror film "The Nail Gun Massacre."